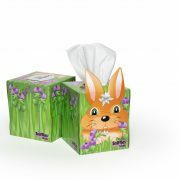 Sniffles® Pals cube-shaped tissue boxes will enhance many settings – your home, office, or veterinary clinic. 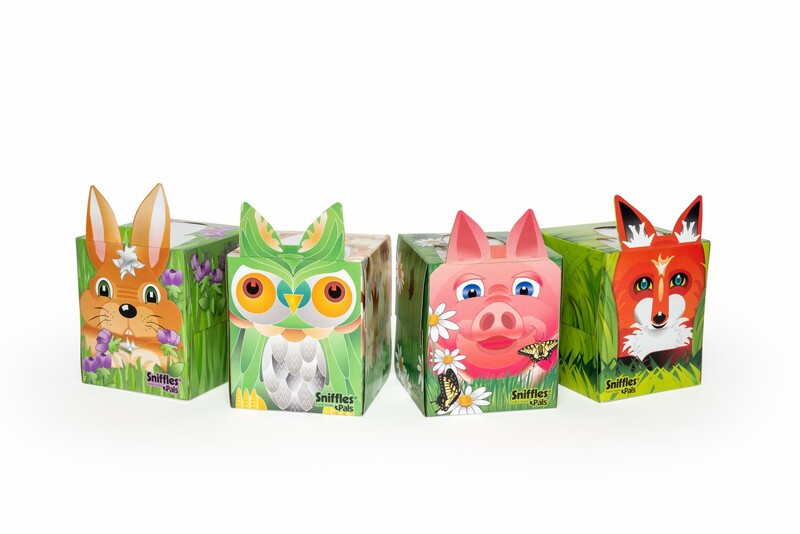 Their friendly faces will engage children while bringing a smile to the faces of adults and kids of all ages! 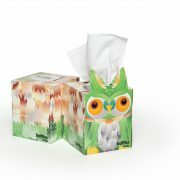 Be sure to “activate” the ears on our colorful animal-themed tissue box! 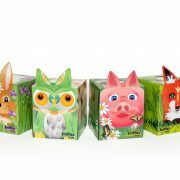 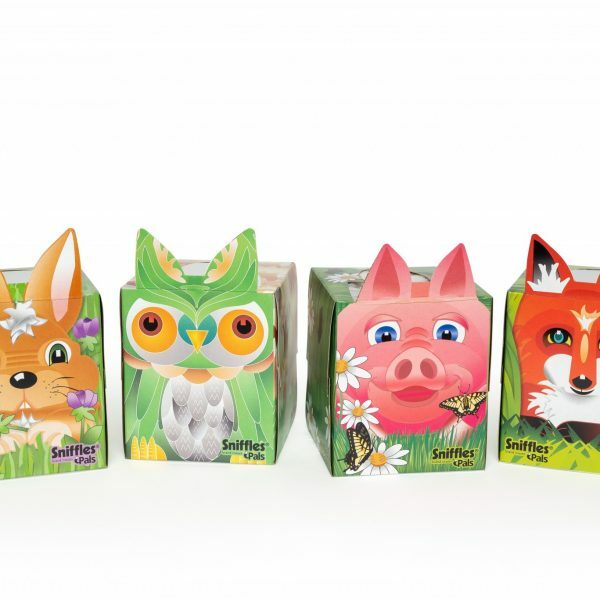 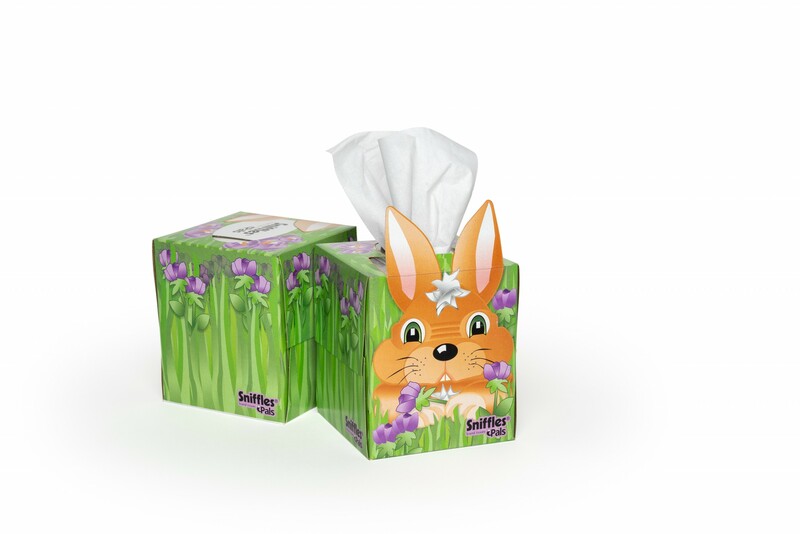 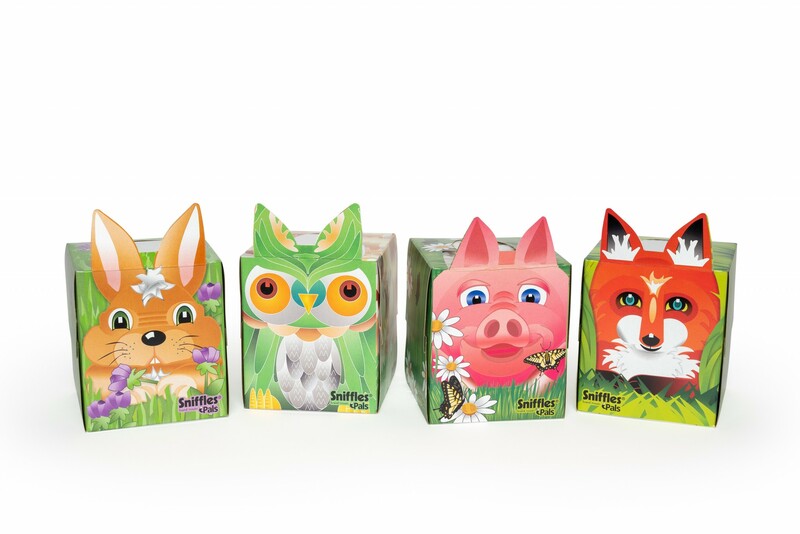 Sniffles® Pals collection includes a curious fox, a stylish owl, a bright bunny and a good-natured pig! 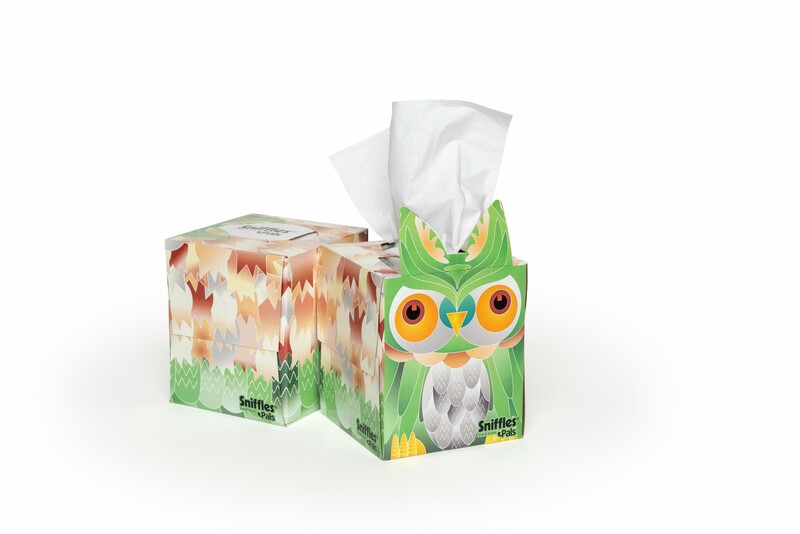 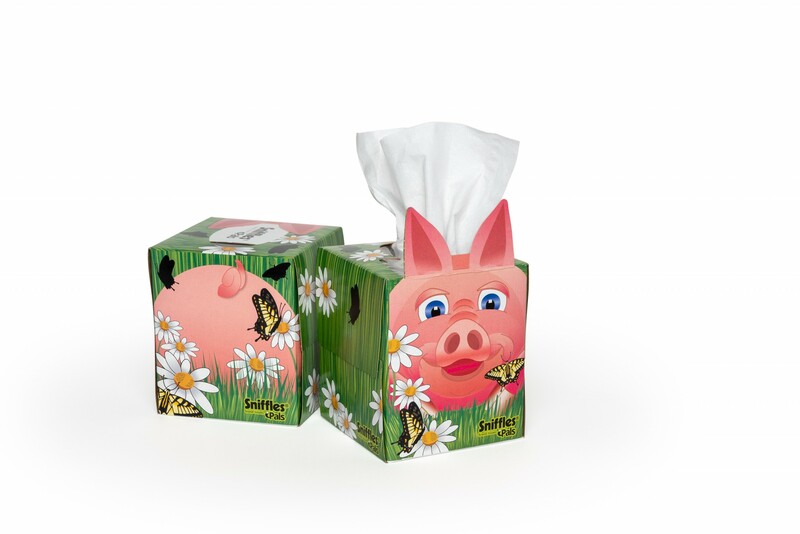 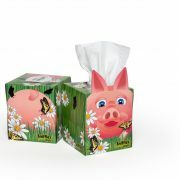 Next time you or your child need a tissue, get one from a cute and colorful Sniffles® Pals. 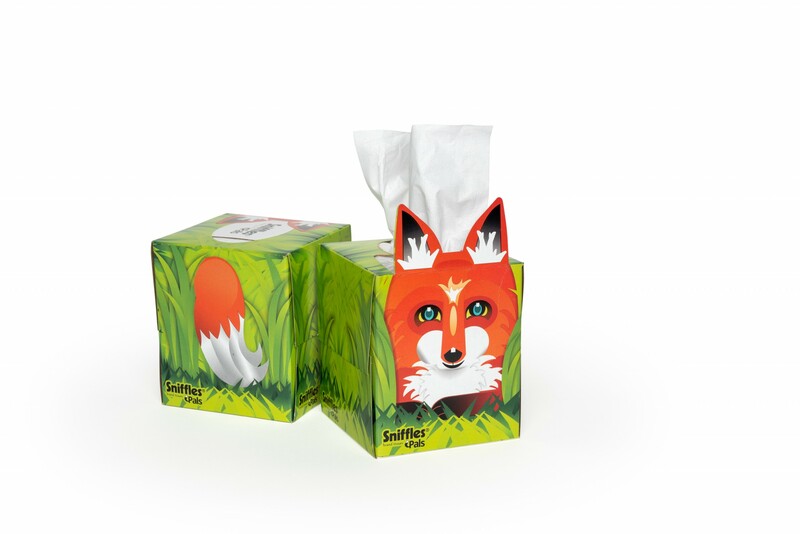 Sniffles® Pals orders ship with a random assortment of the four designs. 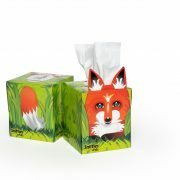 If you prefer a specific assortment, please let us know in the “order notes” section when you checkout.